Are you really looking for the best? The community will come together in an unprecedented way for the first-ever Kellogg on Growth Forum in November 2015. The one-day event will take place at various locations across the Evanston campus, bringing together more than 1,000 students, faculty and alumni to connect and share ideas about the most important growth challenges facing people, organizations and markets. Kellogg also has been deepening its commitment to diversity. “Teamwork is central to how we teach and operate. We know that diverse teams produce better results. We’re proud of the diversity within Kellogg. Just one example is having 43 percent women in the Class of 2017, an all-time high,” Simonds says. 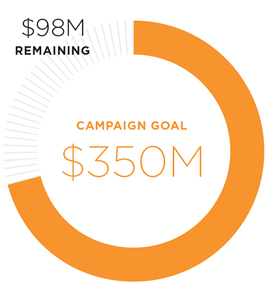 Kellogg launched its largest-ever capital campaign in 2012 to support its transformation. 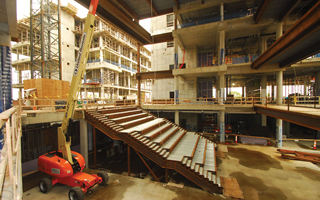 By the end of FY 2015, alumni and friends of Kellogg have raised more than $250 million. The community is already feeling the impact of Kellogg’s new trajectory. The faculty continues to receive accolades for its cutting-edge research, students are taking advantage of an enriched and expanded curriculum and alumni are giving at unprecedented levels. The school’s global reputation is clearly on the rise. Kellogg is at the forefront of industry dialogue. Jan Eberly, professor of finance and former chief economist for the U.S. Treasury, was named co-editor of the Brooking Institution’s leading economic policy journal; Betsy Ziegler recently spoke on the future of business education to a forum of 600 business school leaders; and Dean Blount visited the White House to discuss diversity and women in business. “We’ve made tremendous progress, and we’re proud of what we’ve achieved so far,” says Dean Blount.